MANILA, Philippines - A decrease in the number of days required to start a business in the country was overlooked, the National Competitiveness Council said, commenting on a slip in the Philippines' ratings in the World Bank and IFC's Doing Business 2013 report. 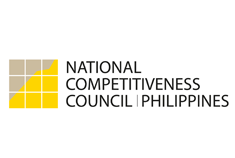 NCC Co-chairman Guillermo "Bill" Luz said the report did not consider the improvement in the number of days for starting a business already being implemented in the country. "We have actually questioned the '36 days' [accounted for in the report]," Luz said, in an interview with ANC's News Now on Tuesday. "We have informed them that we have been able to spot changes in the number of days: about nine days cut from there (36 days) but they have not recognized or accepted our changes yet so I'm going to argue the case again more persuasively in the next year," he continued. The Philippines ranked 138 out of 185 countries in the Doing Business 2013 report, down by 2 notches from its 136 ranking in the previous year. The report noted that starting a business in the Philippines takes 16 procedures over an average of 36 days. "We will continue to make changes in the [number of] days [it takes to start a business] and cut it back," Luz said. "We have a fighting target to take that down below 10 days next year and to also drastically reduce the steps from 16 to fewer than 10 also in the coming years," he added. For the improvements to be recognized by the World Bank and the IFC, Luz said that the country should be able to implement the reforms before the first of July next year. Such is the cut-off date for the annual Doing Business report, and firms should already be using the reforms in place for them to be considered by the World Bank and IFC. Aside from starting a business, the Doing Business report also looks at the ease of dealing with construction permits, getting electricity, registering property, applying for credit, protecting investors, paying taxes, trading across borders, enforcing contracts and resolving insolvency. Further improvements for the ease in doing business in the Philippines will require further streamlining steps and procedures and finally automating them, Luz said. "What this (improvement in rankings) requires is very carefully looking at the procedure, streamlining and eliminating steps which are not needed, and then automating the remaining steps," Luz said. "The tricky part here is some procedures cut across several agencies so we need some interaction and inter-operability from one agency to another," he added.